The Health Specialist reports to the Chief Field Office NoC with Matrix to Health/Nutrition/CSD/ Manager/Chief (Level 4/5) and Chief HIV for guidance and general supervision. The Health Specialist supports the development and preparation of the health programme and is responsible for managing, implementing, monitoring, evaluating, and reporting the programme progress of a sector of the health and HIV programmes (e.g. gender, maternal, neonatal, child survival/development) within the country programme. The Health Specialist provides technical guidance and management support throughout the programming processes to facilitate the administration and achievement of concrete and sustainable results according to plans, allocation, results based-management approaches and methodology (RBM), organizational Strategic Plans and goals, standards of performance, and accountability framework. • Support and contribute to the preparation, design and updating of the situation analysis for the sector(s) to establish a strategic plan for development, design and management of health and HIV related programmes. Keep abreast of development trends to enhance programme management, efficiency and delivery. • Participate in strategic programme discussions on the planning of health and HIV programmes. Formulate, design and prepare a sector of the health programme proposal, ensuring alignment with UNICEF’s Strategic Plan, the Country Programme, as well as coherence/integration with the UN Development Assistance Framework (UNDAF), regional strategies, and national priorities, plans and competencies. • Establish specific programme goals, objectives, strategies, and implementation plans based on results-based planning terminology and methodology (RBM). Prepare required documentations for programme review and approval. • Work closely and collaboratively with colleagues and partners to discuss strategies and methodologies, and to determine national priorities and competencies to ensure the achievement of concrete and sustainable results. • Provide technical and operational support throughout all stages of programming processes to ensure integration, coherence and harmonization of programmes/projects with other UNICEF sectors and achievement of results as planned and allocated. • Plan and/or collaborate with internal and external partners to establish monitoring benchmarks, performance indicators, and other UNICEF/UN system indicators and measurements to assess and strengthen performance accountability, coherence and delivery of concrete and sustainable results for the assigned sector in health programmes. • Participate in monitoring and evaluation exercises, programme reviews and annual sectoral reviews with the government and other counterparts to assess progress and to determine required action/interventions to achieve results. • Prepare and assess monitoring and evaluation reports to identify gaps, strengths and/or weaknesses in programme management, identify lessons learned and use knowledge gained for development planning and timely intervention to achieve goals. • Actively monitor programmes/projects through field visits, surveys and/or exchange of information with partners/stakeholders to assess progress, identify bottlenecks, potential problems and take timely decisions to resolve issues and/or refer to relevant officials for timely resolution. • Monitor and verify the optimum and appropriate use of sectoral programme resources (financial, administrative and other assets) confirming compliance with organizational rules, regulations/procedures and donor commitments, standards of accountability and integrity, ensuring timely reporting and liquidation of resources. • Provide technical guidance and operational support to government counterparts, NGO partners, UN system partners and other country office partners/donors on the interpretation, application and understanding of UNICEF policies, strategies, processes, and best practices and approaches on health-related issues to support programme development planning, management, implementation and delivery of results. • Participate in discussions with national partners, clients and stakeholders to promote health and development issues, especially in the areas of gender, emergency preparedness, maternal and neonatal health, and child survival and development and HIV. • Draft policy papers, briefs and other strategic programme materials for management use, information and consideration. • Participate in emergency preparedness initiatives for programme development, contingency planning and/or to respond to emergencies in country or where designated. • Build and sustain effective close working partnerships with health sector government counterparts, national stakeholders, as well as global partners, allies, donors, and academia. Through active networking, advocacy and effective communication, build capacity and exchange knowledge and expertise to facilitate the achievement of programme goals on child rights, social justice and equity. • Prepare communication and information materials for CO programme advocacy to promote awareness, establish partnerships/alliances, and support fund raising for health and HIV programmes (maternal, neonatal and child survival and development). • Participate and/or represent UNICEF in appropriate inter-agency (UNCT) discussions and planning on HIV and health-related issues to collaborate with inter-agency partners/colleagues on UNDAF planning and preparation of health programmes/projects, ensuring organizational position, interests and priorities are fully considered and integrated in the UNDAF process in development planning and agenda setting. • Apply and introduce innovative approaches and good practices to build the capacity of partners and stakeholders, and to support the implementation and delivery of concrete and sustainable programme results. • Keep abreast and conduct research to provide evidence for implementation of best and cutting-edge practices in health. • Assess, institutionalize and share best practices and knowledge learned. • Contribute to the development and implementation of policies and procedures to ensure optimum efficiency and efficacy of sustainable programmes and projects. • Organize and implement capacity building initiatives to enhance the competencies of stakeholders to promote sustainable results on health-related programmes/projects. The efficiency and efficacy of support provided by the Health Specialist to programme preparation, planning and implementation facilitates the delivery of concrete and sustainable results that directly impact the improvement of the health of the most marginalized and vulnerable women and children in the country. This in turn contributes to maintaining and enhancing the credibility and ability of UNICEF to continue to provide programme services to protect the rights of children, and to promote greater social equality to enable them to survive, develop and reach their full potential in society. • An advanced university degree in one of the following fields is required: public health/nutrition, pediatric health, family health, health research, global/international health, health policy and/or management, environmental health sciences, biostatistics, socio-medical, health education, epidemiology, or another relevant technical field. • A minimum of five years of professional experience in one or more of the following areas is required: public health/nutrition planning and management, maternal and neonatal health care, or health emergency/humanitarian preparedness. • Experience working in a developing country is considered as an asset. • Relevant experience in a UN system agency or organization is considered as an asset. Under the supervision of the Supply and Procurement Specialist, the Supply and Procurement Officer, provides technical support in planning, procurement and contracting and other administrative tasks in support of the efficient supply and procurement of the country office, ensuring timely and efficient output that is in compliance with UNICEF rules and regulations, whilst demonstrating the capacity to research, adapt and evaluate irregular cases, and also to recommend improvements to process delivery and design. At the NOB level, the below tasks are expected to be carried out with a high level of independence.. Overall responsible for procurement of commodities and services, and monitoring of all upstream supply activities. Develops and review procurement/supply plans of the Country Programme.Â Works closely with programme colleagues on forecasting. Provides technical advice on specifications/Terms of Reference, facilitating efficient procurement. Establishes and maintains supply source and availability plans (offshore and local procurement). Proposes supply strategies (using category management) and actions decisions on offshore and local procurement. Ensures development of appropriate evaluation criteria, solicitation, evaluation of offers, negotiation and formulation of contracts and long-term arrangements (LTAs) with suppliers and contractors. Establishes appropriate processes adjusted to emergency (if relevant) and local context, while respecting UNICEF procurement principles and policies. Maintains links with Supply Division on transnational shipments, deliveries, claims and appropriateness of supplies. Ensures continuous information on local sourcing and availability options, feeding into source and availability plans. Corresponds with suppliers to confirm deliveries and feed/update into current delivery schedules in close liaison with logistics to ensure coordination of delivery. Facilitates the establishment and maintenance of a system of contact with customs and immigration authorities at national ports of entry on the clearance of UNICEF supplies, in keeping with established protocol. Ensures preparation of supply status reports required for donor reports, budget reviews, programme analysis, annual reports, funding appeals etc. Any other task as might be requested by supervisor. The capacity of the Supply and Procurement Specialist to effectively and efficiently carry out the above duties contributes to the efficient planning, management and oversight of cost effective procurement, contracting, inventory, storage and delivery of supplies and related services directly impact on program delivery of goals and results. 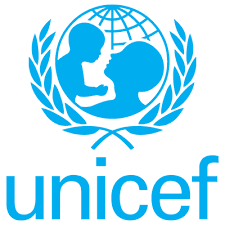 This in turn contributes to maintaining/enhancing the credibility of UNICEF as an effective and responsible manager of funds entrusted to the organization and to furthering UNICEF image as a competent organization for delivering cost effective and sustainable program results. Advanced university degree from a recognized academic institution in one or more of the following areas is preferred: Supply Chain Management, Business Administration, Management, International Economics, Engineering, International Development, Contract/Commercial Law, or areas directly related to logistics operations or UNICEF programme areas. Minimum 6 years of progressively experience in supply chain, logistics, procurement and/or administrative related work is required. Familiarity with UNICEF, UN supply and procurement procedures and systems is an asset.